Anyone involved in the contest acts as an ambassador because they take with them the excitement and experience of the event back to their own kitchens. 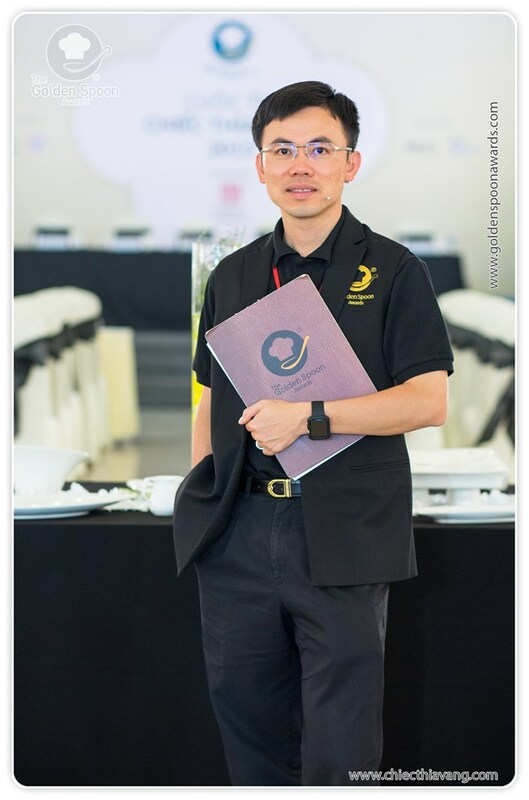 Director Sang Ly represents the fourth generation of Minh Long I, a family business that has become the quintessential ceramic and porcelain producer in Vietnam. Their works are pieces of art, often given as national gifts during overseas visits. Leveraging its international recognition, the century-old business decided to branch out on a new endeavor: The Golden Spoon contest. Together the aim is to utilize Vietnam’s budding chef talent to position Vietnamese cuisine within the world’s kitchen. We sat down with Sang Ly to discuss the collaboration. Please tell us where the idea for the Golden Spoon contest came from and why Minh Long I has been involved from the start. The first edition of the Golden Spoon contest took place in 2013 after much deliberation on what kind of culinary competition we should have. It was widely understood that there is a great amount of talent throughout the country, and that these talented chefs are using many of their own home recipes to advance their careers. In 4- and 5-star hotels we were especially noticing a trend in hiring chefs that could increase the authenticity of the Vietnamese menus. But there was a limit to what this talent could do with these recipes. We wanted to push past that. We decided to give back to them an opportunity to hone their craft, while also pushing them to cook at a level of international recognition. So the Golden Spoon contest is catered toward Vietnamese chefs? Traditionally it has been, but this year we’re making a push into the English-speaking culinary sector of Vietnam. Chefs enter the competition in teams of three (a head chef and two assistants). Usually these teams represent a hotel or a restaurant, but independent chefs can also enter with their own teams. However, the focus of the competition is still on the flavours of Vietnamese cuisine. Teams craft their menus to ensure that they demonstrate understanding of the regional and national cuisine through the use of local ingredients and authentic taste. There is the opportunity in one of the later rounds to add fusion to the menu, but the competition is inherently about how much we can do with our native cuisine. Do you believe that the world still underestimates Vietnamese cuisine? Yes, but I think it’s because we as a country have not yet properly introduced the world to the versatility of our food. It’s already recognized that other culinary giants like Italy, France, China or Thailand have different types of food per region. Vietnam is very much the same, but I don’t come across many people who know this. That’s one of the reasons why the Golden Spoon contest holds preliminary rounds throughout the country, so that we have a collective mix of all the regions. During the competition we see all sorts of specialities. Some of them are so traditional that when the judges come upon them you can see a bit of nostalgia in their faces. But can these dishes reach an international audience is the question. The panel of counselors and judges is designed to help make this happen, either by coaching or asking questions when the dishes are presented. David Thai during the Golden Spoon Awards Competition. How will the Golden Spoon contest help put Vietnamese food on the map? First it starts with the chefs and the hotels or restaurants they represent. By creating a community, we build a force that is prepared and qualified to take our national food further and onto the world stage. Together we work toward this goal, and those that win the contest are better positioned to continue this process. 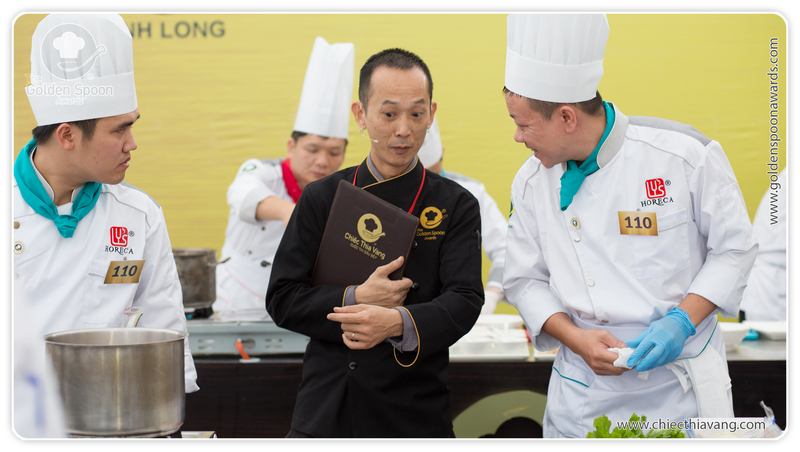 Anyone involved in the contest acts as an ambassador because they take with them the excitement and experience of the event back to their own kitchens. Then we have a lot of great support from national media outlets so that the contest is seen as exciting as MasterChef, and is also worthy of the same coverage as, say, the Asia Pacific segment of the Bocuse d’Or. And we do get a lot of TV and print exposure throughout the contest, which we have seen also helps to create national pride. That’s very important to both us as organizers and the contestants. After all, we are very proud of our delicious food! If you were to compete what family recipes would you enter? If I may say, I think I’m better behind the scenes than behind the stove. While my wife, mother and grandmother are the best cooks I know, our family is better known for the kind of cooking we do with ceramics. We use state of the art technology imported from around the world in order to ensure the highest quality when we produce our world class porcelain pieces. Similarly, to the Golden Spoon contest, we understand that our expertise is in the traditional methods that only generations of experience can provide, but we’re not intimidated by using international methods or machines. Our factory is in Binh Duong – an area traditionally known for producing such high quality textiles – but much of the machinery comes from other parts of the world. It’s how we’ve been able to internationalise our products, and now our most famous and popular products are in the homes of many esteemed families throughout Europe, Asia and North America. That’s also what we want for Vietnamese cuisine.